From January 2018, Tactical Space Lab is running an experimental virtual reality lab with artists Alex Seton, Jason Wing, Joan Ross, and John A Douglas. Through an ‘incubator’ style experimental studio, each artist will work with media artist and Tactical Space Lab Director of Josh Harle to explore virtual reality and other emerging technologies, experiments, and develop collaborative studies related to their practice. Tactical Space Lab has been assisted by the Australian Government through the Australia Council, its arts funding and advisory body. 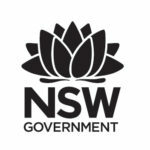 Tactical Space Lab is supported by the NSW Government through Create NSW.